These are questions I present to players. It is my passion to work with highly motivated athletes who have a desire to improve. 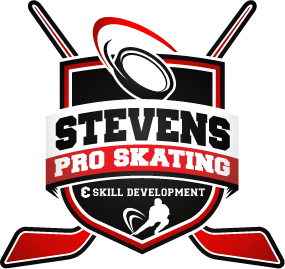 The Stevens Pro Skating & Skill Development Clinic will answer those questions and provide a guideline for players. I believe a lot of players do not understand or do not know what they can do to improve their skills or what they should be working on to achieve their goals. They are told to simply work hard. It is not enough to work hard. They must train in an intelligent way. I have wanted to do this clinic for years. It has been my goal to offer the best in skating instruction, puck skills, and the ability to understand the game with a focus on transferring practice skills to game performance. The program will emphasize proper skating & skill technique as they apply to forwards and defensemen in the game of hockey. This clinic, with the use of video, goal setting, and a positive learning environment will help players understand the skills and the little details that make good players great. This is a program for serious hockey players and is not a learn to skate program. All sessions will be high tempo, but allow each player to be challenged and develop at their own individual pace. 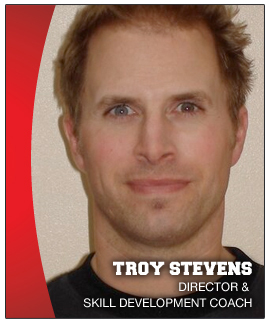 Troy is one of the most sought after Professional Skating & Skill Development coaches in the Twin Cities. He has worked with the New Jersey Devils (NHL), Minnesota Gophers Men & Women’s teams, and 2010 US Women’s Olympic Team. He has over 23 years of teaching experience with players from all levels in North America & Europe.